Gregory Allen (Greg) Ford finished his life race on July 2, 2018 in Las Vegas Nevada where he resided for many years. Gregory retired from Circus Circus Hotel and Casino where he was a mural painter. 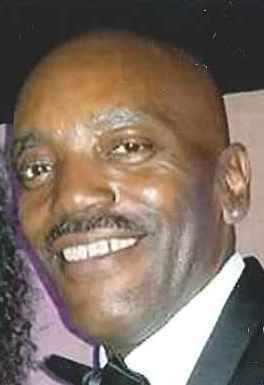 Gregory was born in Seattle, Washington on June 23, 1957 to the union of Mr. Charlie Ford Sr. and Mrs. Ella Mae Ford. Gregory was the fourth of five children. He was a graduate of Cleveland High School, class of 1976. Gregory joined the United States Navy in August, 1976, and was honorably discharged October, 1982. Gregory will be remembered most by his pleasing load back personality. He had the skills to do any type of jobs; Painting, remodeling bathrooms, new counters, wood floors, installing new carpet and the list goes on. He had a passion for old trucks and cars. He loved to cook; Gumbo, bar-b-que ribs, and brisket were his specialties. Gregory also loved playing Dominos with family and friends. Gregory was preceded in death by his parents Charlie Ford Sr., Ella Mae Ford and brother Ray Charles Ford Sr.
Gregory leaves to cherish precious memories his beloved wife, Erica Belan Ford. Daughters: Krychele Valenzuela (Roman), South Jordan Utah, Joy Ford-Williams, Portsmouth Virginia, step-daughter Veronica Smith, Las Vegas Nevada. Sons: Gregory (BJ) Ford (Robin), Manteca, California, Blake Ford (Darya), Fountain, Colorado. Sisters: Rosie Walker, Seattle, Washington, Evelyn Tuttle (Charles), Tacoma Washington.Brother: Charlie Ford III (Catherine), Victorville, California. Grandchildren: Desiree, Kai, Vivienne, Rhylei and Jenesis. Aand a host of nieces, nephews, beloved friends and extended family members.